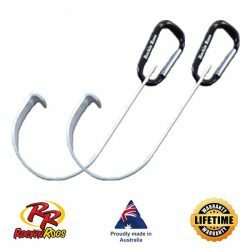 Dont Go Kite Sailing .The Importance of Securing your caravan or RV awning. Are you on the road with a smelly pooch? 1. What is the product made from? 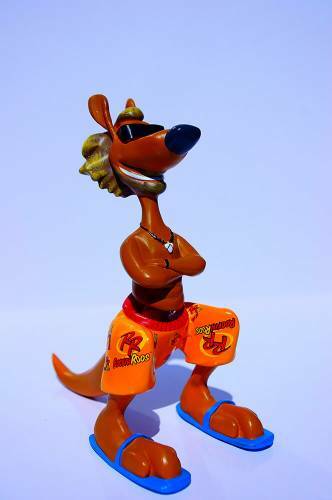 The Rockin Roos characters are made from polyresin which is a resin compound generally used for statues, figurines, bobble heads and decorative furniture. It is a sturdy material that can be intricately moulded, allowing a great level of detail with consistent texture. The Rockin Roos stubby coolers are made from high quality neoprene and are fully stitched, overclocked and the images are dye printed for longevity of the product. 2. How tall are they? Each Rockin Roo character is within the height range of 16-17.5cm tall. As each character is individually designed the height varies due to the overall look and design of the character as a whole. The weight is approximately 220 grams. 3. What is a decal? Each character includes a decal of some sort. Some characters decals will differ depending on degree or difficulty in hand painting the finer details this is where a decal will be used to maintain consistency in the design such as RR print on Boomers shorts. 4. How are they packaged? Each character is boxed in their own white box and protected by a foam casing at the factory sent to us then to you. Each box has its own label with a barcode and relevant market details for retail purposes. Stubby coolers are packaged when posted. 5. How long does it take for a large production run? Our Rockin Roo character line takes around 50 days from start to finish to manufacturer. This time line is set by the manufacturer and is out of our control. If you are a retailer and wish to place large orders it is best to place orders as soon as possible to ensure you do not miss out on stock on hand. For other merchandise such as stubby coolers these can be made up very quickly as they are manufactured here in Australia. Children’s books are on hand and can be quickly re ordered if necessary. 6. What is the minimum order? There is no minimum order number on any of our products. If you purchase from us directly you will have to include shipping costs via our shopping cart on the website. If you are buying directly because you have visited us at a market store no minimum order and no shipping costs. Retailers who wish to purchase/place orders, quantities will reflect your shipping costs as sometimes you get a better price for larger orders. 7. Can I combine postage? Yes. Often you will get a better price through Australia Post if you combine orders as the weight per item may vary. Some items will require a box for postage whereas others it might be a tough bag. We will endeavour to provide you with the best price we can for postage and ensure your goods arrive to you in excellent condition. 8. What methods of payment are there? Payment methods will vary depending on circumstance. We do offer Direct Debit payment methods, PayPal, Square credit card services only if paying in person directly and if you are a retailer we issue you with an invoice with payment options. NO Cheques accepted. If you items arrive damaged/broken we ask that you contact us immediately by email or phone. Email is often best this way you can provide photos of the damage good/s. We will replace any damaged goods to you that have occurred through postage/delivery. We will not replace goods that have been damaged or broken due to a fault of your own after delivery. 10. What warranty comes with this product? The products come with a manufacturer’s warranty only please contact us for further information. 11. Is this product recyclable? The polyresin products are recyclable as they are a type of plastic; the inner spring is metal and also recyclable. We recommend all our customers dispose of any recyclable product correctly to assist with ongoing efforts to ensure our environmental impact on our world is low. 12. How are the Rockin Roo characters attached to the dash? Under each Rockin Roo the feet will have high quality two sided tape, ensure that your dash or point of contact is free from dirt or dust, remove paper layer on two sided tape and push down firmly onto point of contact ensuring that the figurine has enough room to move when rocking to avoid damage to the Roo. The term Rockin Roos PTY LTD or ‘us’ or ‘we’ refers to the owner of the website whose registered office is Rockin Roos PTY LTD, 8 Roden Street Keppel Sands QLD 4702 Australia. The term ‘you’ refers to the user or viewer of our website. You may not create a link to this website from another website or document without Rockin Roos PTY LTD prior written consent. 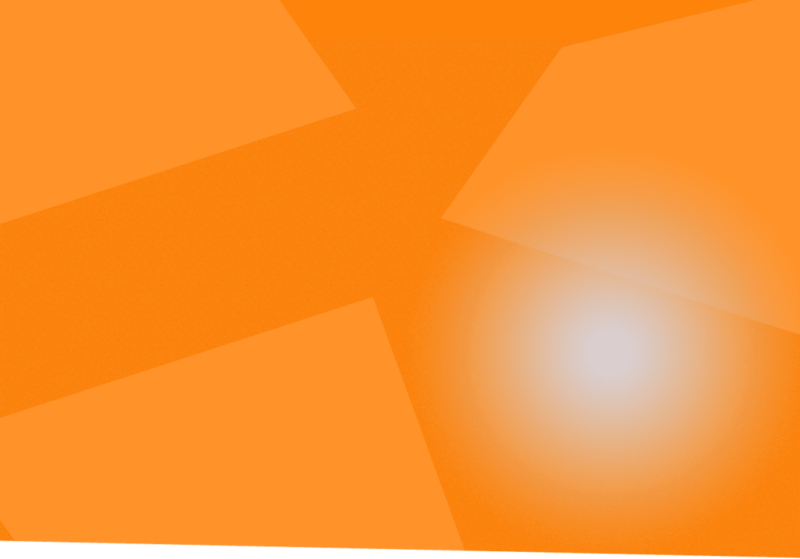 Your use of this website and any dispute arising out of such use of the website is subject to the laws of Australia or other regulatory authority.